​Uruguay midfielder Lucas Torreira has headed straight to London from Moscow to finalise a transfer to ​Arsenal after his side were eliminated from the World Cup. A report in Uruguayan publication ​Referi suggests that the 22-year-old travelled to England to undergo his medical and complete the final stages of negotiations in his switch to Arsenal, before heading home to Montevideo for a few days of holiday prior to joining pre-season training with his club, Sampdoria. Speculation linking the defensive midfielder with a move to the Gunners has reached fever pitch since the beginning of the tournament, with a constant flurry of reports suggesting Arsenal manager Unai Emery is keen to add the player to his ranks as he prepares for his maiden season in the Premier League. Meanwhile, the Uruguayan FA also released a statement confirming that Torreira had been left behind in Moscow while the rest of the squad travelled home, adding fuel to the rumours that the midfielder is set to join Arsenal. 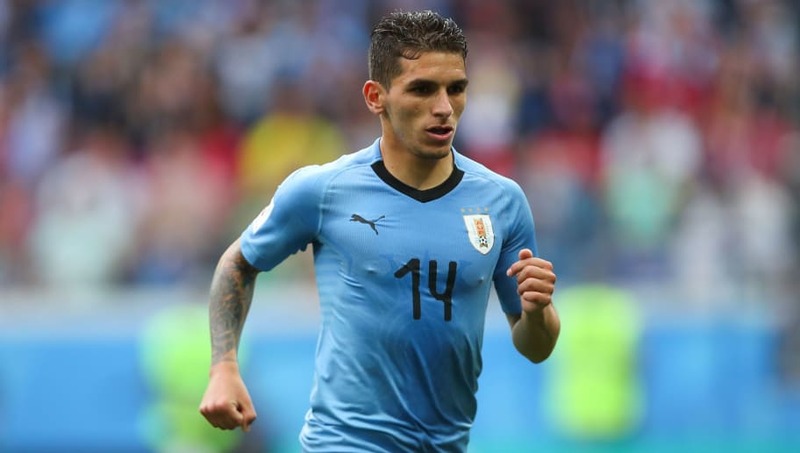 Torreira was one of several players who impressed for Uruguay in Russia this summer as La Celeste reached the quarter-finals of the World Cup before being eliminated by France. The midfielder has made 74 appearances for Sampdoria since joining the club from Serie B outfit Pescara, having moved to Italy while still playing at youth level. Torreira's impressive displays in Italy saw him called up to the Uruguay squad for the first time back in March of this year, where he has quickly established himself as a key player in manager Oscar Tabarez's plans despite his relative lack of age and experience.